To successfully bet on the future and build your wealth in the process, you must have the following skill set and traits. Options trading is a form of derivative trading that requires an investor to bet on the future value of a security. While options trading can earn you a significant amount of profits, betting on the future is always risky which makes options trading speculative. 1. Risk management: As options trading contains a high amount of risk, it is necessary for you to know the quantum of risk you have to take while trading. You should first determine what you stand to lose and how much of your money could be allocated to a single investment. To manage risk, diversification and limiting your trade size to a certain level can prove helpful. 2. Basic understanding: An options trader must understand some basic terms that are used while trading. Option Greeks like delta, theta, gamma, and vega are used to identify various parameters in valuation and strategy. 3. Discipline: It is imperative for a trader to have a disciplined routine, not just during the market hours but also otherwise. You must be punctual, and understand the value of time and money. Discipline also restricts our natural impulsive behavior. 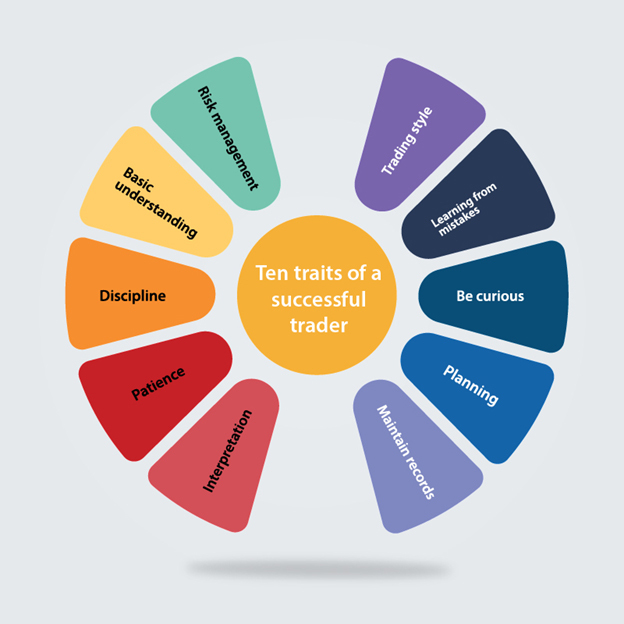 These traits make you successful in options trading. 4. Patience: An options trader should be patient in doing homework on market trends and not make investment decisions in a hurry. Successful options traders often wait for an extended period for the right opportunity to sell or buy securities. Even when the short-term results are contradictory to your analysis, you must be patient since it is the key to success in financial markets. 5. Interpretation: An options trader should have the knowledge to interpret the news and have the foresight to take better investment decisions. They should be able to differentiate what is hype and what is a reality. rather than basing its decision solely on the headlines, you must make a sound investment decision based on interpretation of the news. 6. Trading style: Every trader has his unique trading style. To be successful, it is essential to identify what trading style suits you perfectly. You may find intraday trading a good option; others may realize that they can use time decay to their advantage and choose positions trading while some others may think that they require longer to sort things out and pick swing trading. 7. Learning from mistakes: To be able to make profits in any market, you should learn from your past mistakes. There is a high possibility that you will incur losses in the initial phase, but it shouldn’t mean that you give up. Analyze your mistakes and identify what you did wrong. Then do everything in your power to avoid committing the same blunders again. 8. Be curious: As the market is dynamic and volatile, it can change in a blink of an eye. You must understand the factors that can influence the market. By being curious, you will look for answers regularly. 9. Planning: It is essential to plan to ensure that purchasing or selling a particular option contract will not hamper your broader financial portfolio either in the present or the future. You must plan your day and your life. A good plan today might help you earn millions tomorrow. 10. Maintain records: All successful options traders keep perfect records of their transaction. Many of them also have ready memory of their current positions. Analyse your decisions and learn from your past mistakes. Maintaining proper trade records is essential as it can allow you to avoid making bad investment decisions.